FM station owned and operated by Radio Mindanao Network in the Philippines. 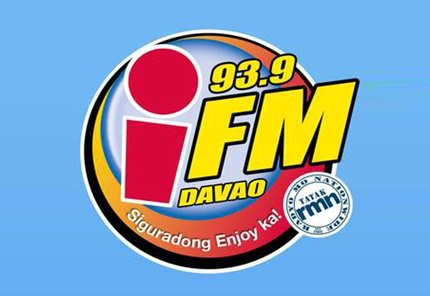 DXXL-FM, under the brand 93.9 iFM Davao, is a music FM station owned and operated by Radio Mindanao Network in the Philippines. The station’s studio is located at the 2/F San Vicente Bldg., Anda corner A. Bonifacio Sts., Davao City.